This artist has jumped to the top of my ‘most played’ this summer. 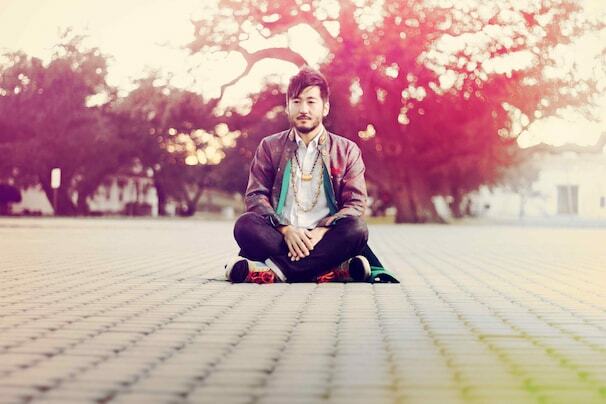 Kishi Bashi, aka K Ishibashi is a solo artist who has toured with the likes of Of Montreal, and is also a founder of the NY indie rock band, Jupiter One. Now going solo, K Ishibashi has produced something fresh, new and wonderfully weird. From listening to the first intro track on his debt album, 151a, you wouldn’t expect what would follow. It’s electronic, folky, classical – a tornado of musical goodness that’s entertaining from the beginning to end. Drawing from his classical routes as a violinist, K Ishibashi conjures a melody of genres, which I can only compare to an artist such as Animal Collective. He mixes up English and Japanese in his lyrics, which add to the sometimes manic feel to the songs. The transition from each track to the next leaves you wanting more of his feel-good musical world he creates. The birth of this album was conceived through a Kickstarter campaign – a site where entrepreneurs, filmmakers, musicians etc pitch their project and rely on the support of the public to donate money to fund it. Ishibashi’s target was $12,000, and within three weeks he raised $20,000, an impressive achievement, and one that paid off. Since the album’s release in April, Ishibashi has been impressing critics and the public with his live loop-based performances. The album is diverse and unexpected. It paints a picture of both joy and melancholy, and it leaves you feeling great. Ishibashi is currently on tour around the US, and is yet to pencil in anything for Europe. You can get your hands on his album here.